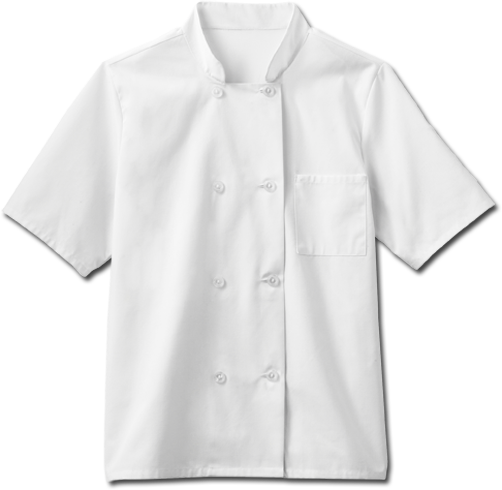 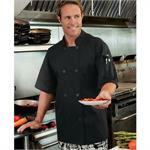 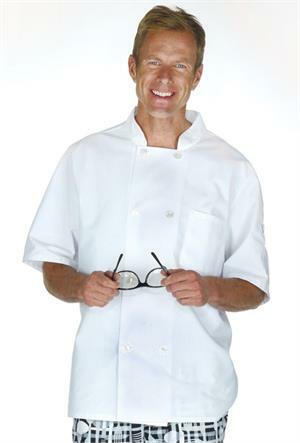 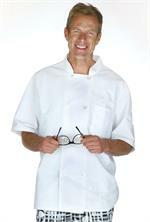 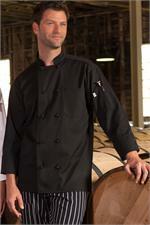 This moisture wicking mesh back chef jacket for men features a 29" Length, 8 Button Front with 2 Hidden Inside Top Placket Buttons, Stand Up Collar, Split Sleeve Pocket, and 2 Piece Back. 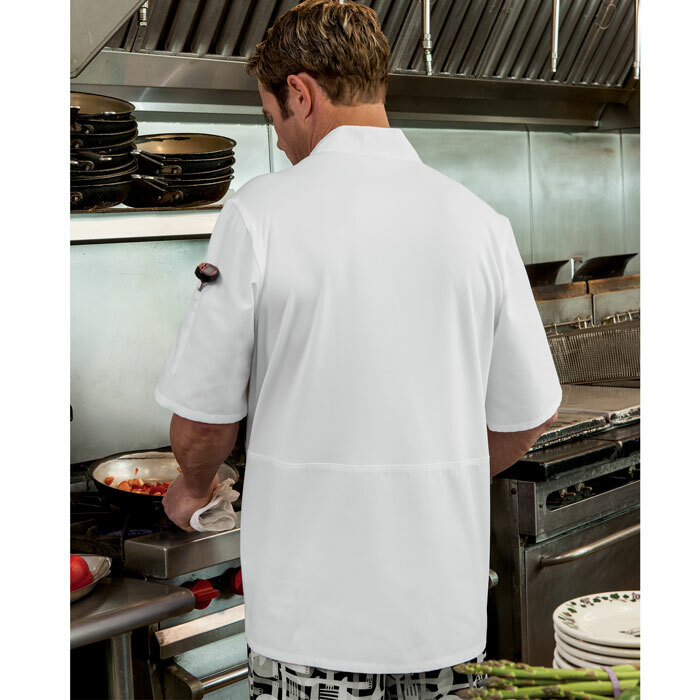 Made of: Upper Back -100% Poly Moisture Wicking Breathable Mesh. 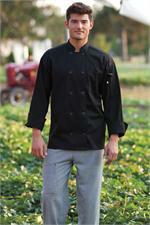 65% Polyester, 35% Cotton with Soil Release. Select color.